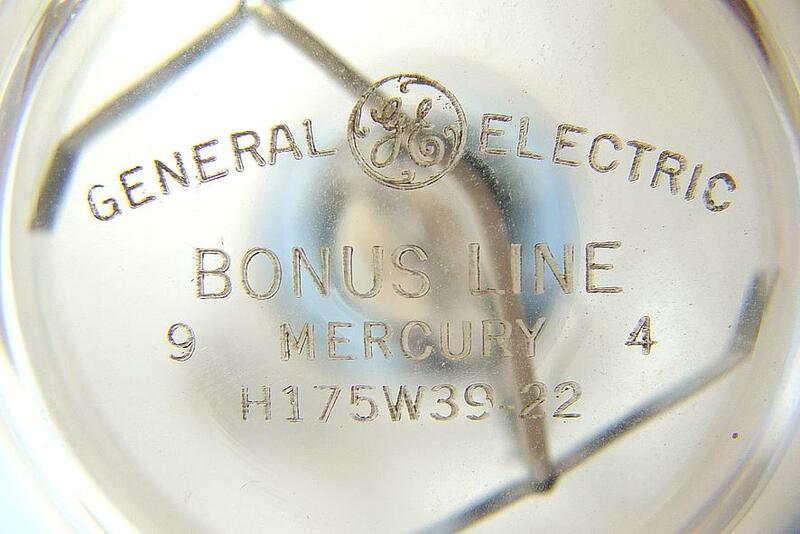 The first Bonus Line mercury lamp was launched by General Electric in 1960. It was a 400W model, and the following year the same technology was rolled out in the 100, 175 and 250W variants. 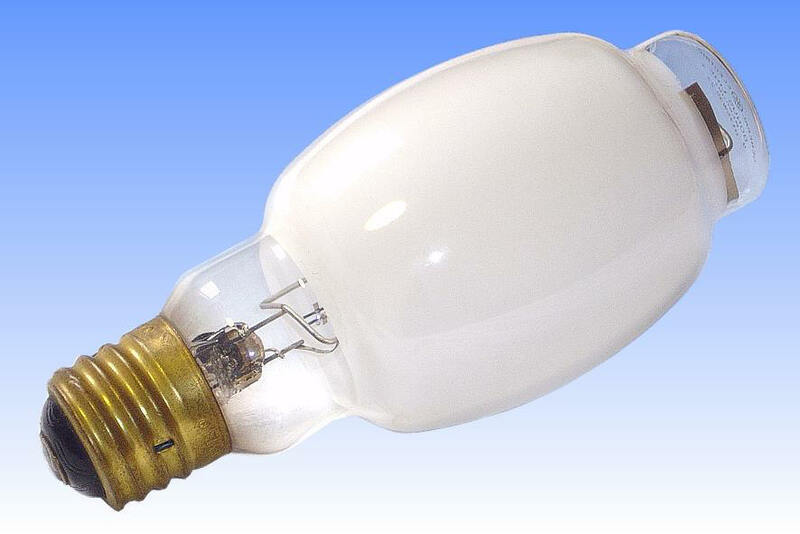 It marked an important step forward in mercury lamp technology. The name was dropped from use in 1966 but all lamps made right up to the present day employ substantially the same principles. 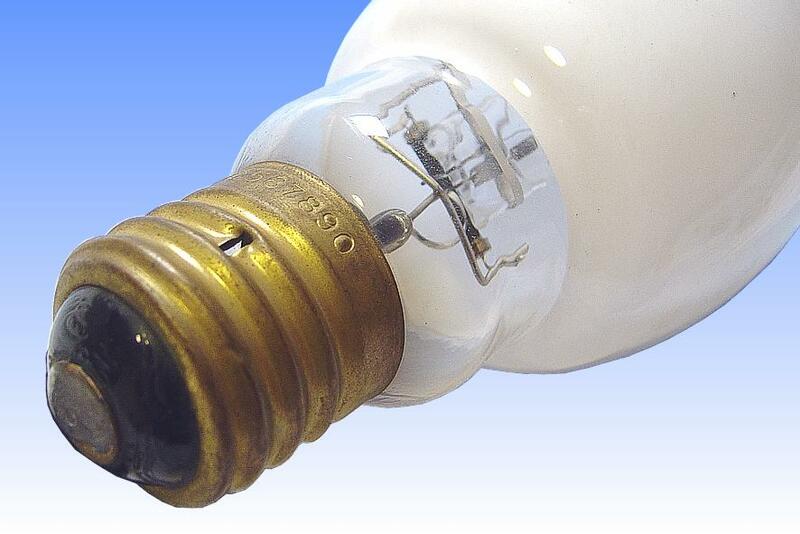 One of the weak points of the mercury lamp has traditionally been its very rapid rate of lumen depreciation. 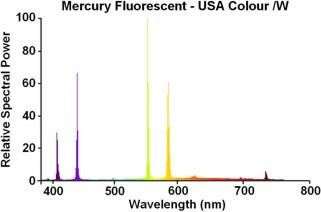 With the earlier lamps, an emissive material of metallic thorium was generally employed. This was introduced in the form of a thin metal strip, sandwiched between the electrode shank and the coil windings. This kind of electrode is efficient only when near to full operating temperature, and during the run-up phase the heavy load on the tungsten led to rapid sputtering, causing blackening of the arc tube and a loss of light. The emitter used in Bonus Line lamps is a mixture of barium and thorium oxides with tungsten powder. The powder fills completely the space between the electrode windings, but is not present on the outer surface of the coils so the rate of sputtering is low. However at the high operating temperature a monolayer of barium, about one atom thick, diffuses out over the outside surface of the electrode. This acts as an extremely good emitter from the moment the lamp is started. 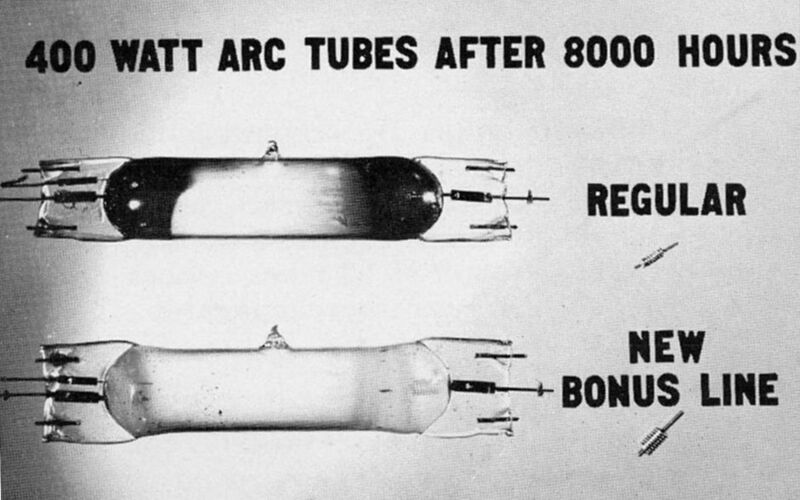 Sputtering of tungsten is dramatically reduced, and the most important characteristic of the oxide-impregnated electrode is that the deposits which do form on the arc tube are white-coloured. 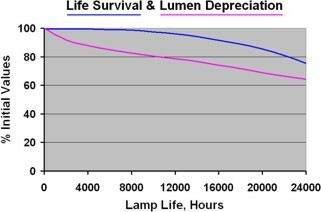 Thus the impact on lumen depreciation is very considerably reduced, and useful lamp life is increased. Manufacturer: General Electric Co., U.S.A.